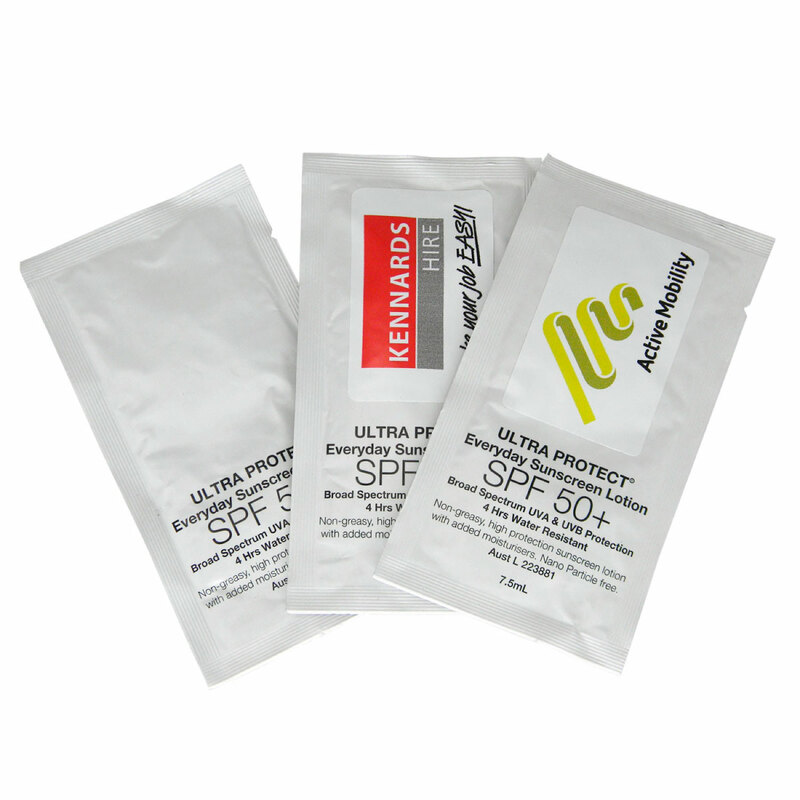 7.5mL Sunscreen sachets decorated with your logo! 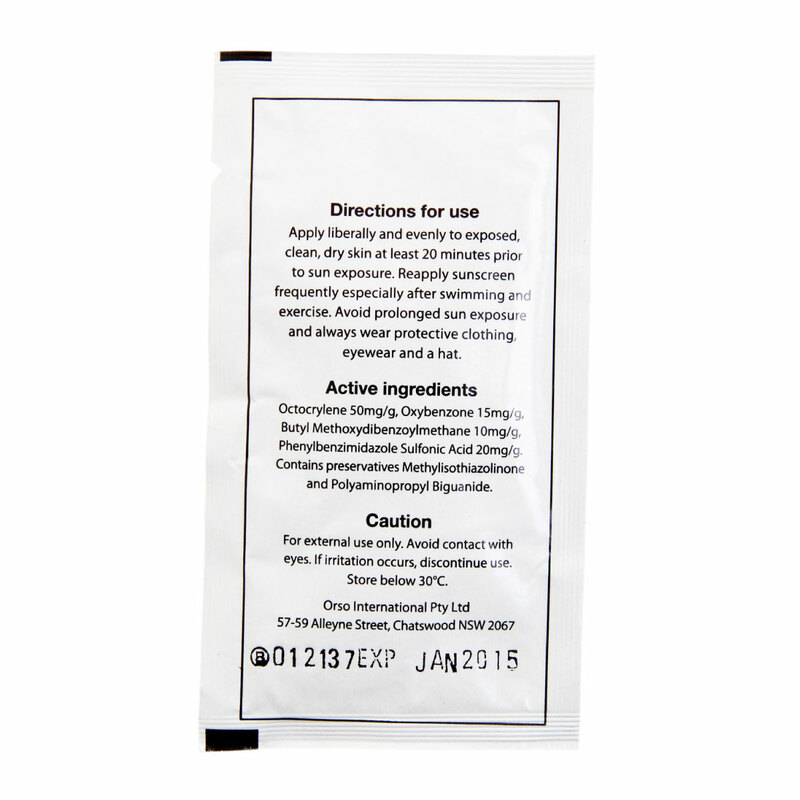 These sachets are Australian made and contain 7.5mL of everyday SPF 50+ sunscreen. They are TGA approved and provide broad spectrum protection from both UVA and UVB rays! They're fantastic for outdoor events, summer promotions and giveaways. They encourage skin safety and enjoying the outdoors, putting your logo in a smart and conscientious light. 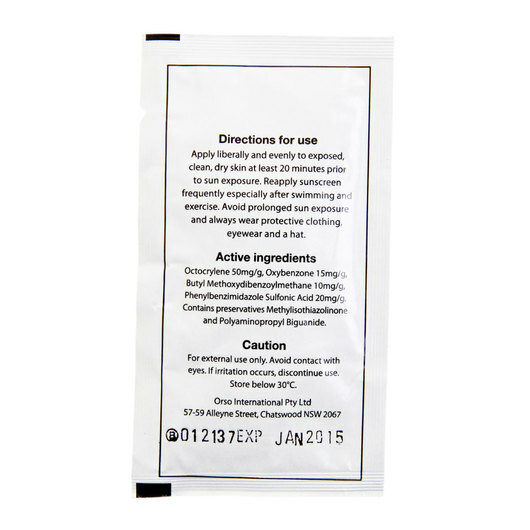 They have a specially designed non-greasy formula with moisturiser and have a 3 year shelf life.